Ghazi is a film that has been inspired from the true events that happened during the Indo – Pak war in 1971. The movie unfolds many unknown episodes that happened during this under water war. Lead by Captain Ranvijay Singh (Kay Kay Menon), Indian submarine S21 has been assigned to keep a watch of the Indian waters across the coastal region of South and West India. During war with PNS Ghazi, it is Arjun Varma’s (Rana Daggubati) stupendous moves, which detains Ghazi leaving the country victorious. Watch Ghazi to know about how it happens. The first half of Ghazi educates everyone about the submarine and it takes some time to unfold the real story. Things change quite interesting after the under water drama turns into a war drama. The performances along with the presentation makes a huge impact on the audience. Though the interval episodes have been simple, the first half holds on well making the audience eagerly waiting for the upcoming war episodes. 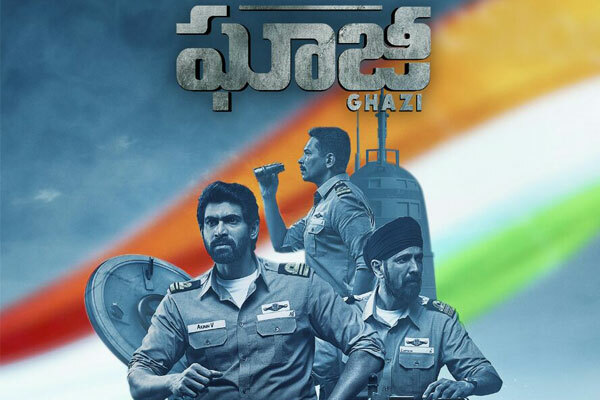 After a decent first half, the second half of Ghazi takes a huge leap suddenly and stands unstoppable throughout. With no flaws, the gripping narration and the top class visual effects, Ghazi makes huge noise throughout. The last 20 minutes is the major highlight of the movie and the war episodes have been presented with utmost clarity which will leave the audience thrilled. On the whole, the second half of Ghazi is nothing less than a masterpiece. Rana Daggubati who has been thriving to excel with his acting skills signed one more challenging role with Ghazi. He ruled out and dominated completely with his presence and flawless performance. Ghazi will earn him huge respect along with appreciation. Kay Kay Menon is so hard-hitting that his performance will be felt even in his absence. 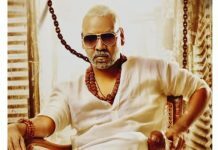 Atul Kulkarni has been completely supportive. Tapsee Pannu has a brief role and she has been decent. All the other actors lived up to their assignments. The story of Ghazi reveals many unknown facts about the war that took place in 1971. The screenplay reveals about the efforts that have been kept for the film. The dialogues look simple and decent. The production values should be well appreciated and the VFX effects make Ghazi a visual treat. The background score strikes hard and elevates it well. Cinematography by Madhee is an asset. Sankalp, a debutant will sure leave everyone surprised for his stupendous presentation and selecting a plot like Ghazi. Ghazi is sure end up as one of the classics of Indian cinema. Rana Daggubati steals the show completely with his performance. Grand visual effects, strong performances, lavish production values and stupendous technical aspects make Ghazi a must watch film. A film that is not to be missed.